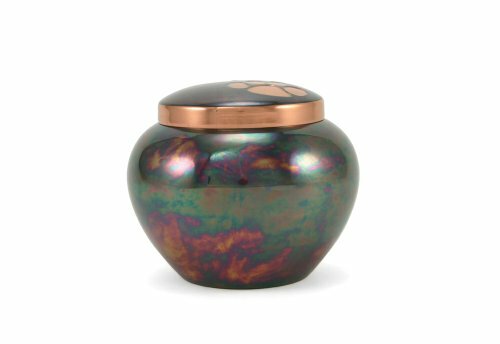 The Near and Dear Odyssey pet urns are handcrafted in brass and electroplated in 2 beautiful finishes of slate and raku copper. The Odyssey urns are accented with paw prints and available in 3 sizes to accommodate most small and mid-sized pets. The urn has a threaded lid for secure closure. Please use only a soft dry cloth on this product for routine dusting. If you have any questions about this product by Near & Dear Pet Memorials, contact us by completing and submitting the form below. If you are looking for a specif part number, please include it with your message.